It is a good thing to compile crypto wallets yourself. Maybe it seems difficult, but it is not that hard. Basically you can use a minimum desktop installation and follow this guide. Let’s do it! The Berkeley DB version for More is not version 4.8.30, but version 6.2.32. So in this tutorial we are going to use a that DB version. Create a new directory inside your home folder, called “development” and change to the directory. remote: Enumerating objects: 74810, done. remote: Counting objects: 100% (74810/74810), done. remote: Compressing objects: 100% (20067/20067), done. Receiving objects: 100% (74810/74810), 44.64 MiB | 3.07 MiB/s, done. Resolving deltas: 100% (57158/57158), done. 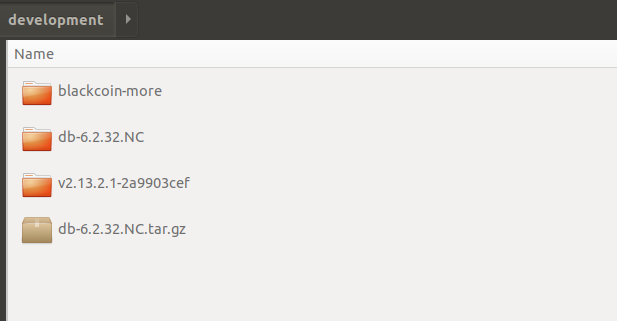 Now it is time to generate the config files and also configure the source code. this way we can compile it and create some binaries. Note: “ make -j2” will use 2 CPU cores. To test it. Just run the blackmore-qt binary with the -version switch. 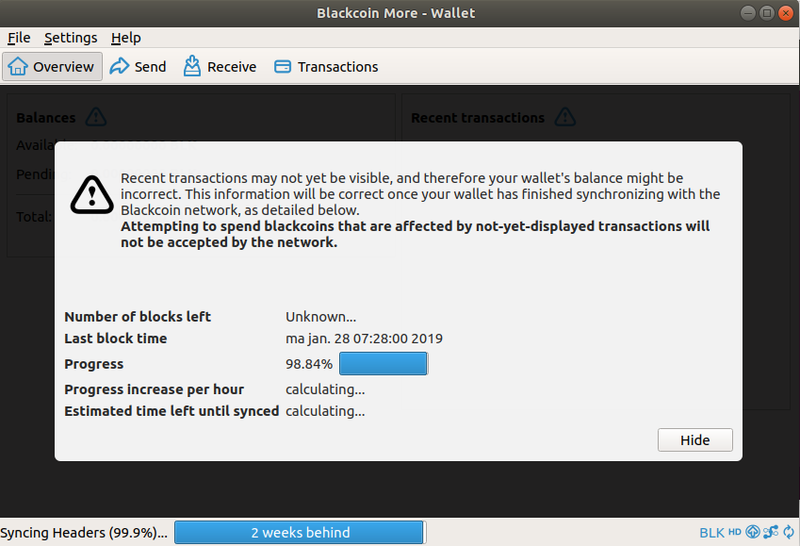 <http://blackcoin.org/> for further information about the software. As you can see the files are big. We are going to “strip” some debug symbols of them. Just go to the directory and use the following command. Now the binaries are a lot smaller. That is it! just run your binary! If you are satisfied with the result, you can cleanup the source code and wait for the next wallet update. I will go into wallet updates in another blog! Note! Blackcoin More is a continuation of Janko’s Blackcoin Lore wallet. If you run it the first time, you can choose either to use the defaults or to use an existing (Lore) data directory. I suggest, that you use the defaults and sync the blockchain again. The latest Bootstrap file can always be found here: https://mega.nz/#F!ru5lTJSD!3Ysa0Whk4Nyztc9xfu8pjQ .